It’s handy to get a way to, say, nearest Dominos, but when it comes to navigating inside the shopping mall, GPS service won’t work. How would you get the way? iBeacons will take the charge of it by helping you navigate the indoor space hassle free! When you step inside the shopping mall, you will be triggered about the events at the retail store, toy house, shoe store, sales rack or café promptly based on your distance from the beacons. 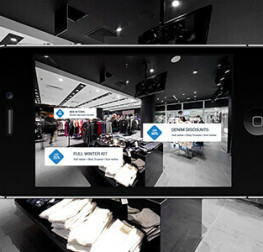 iBeacons- Get the inside scoop! BLE Beacons are the piece of hardware that can be attached to the wall or anywhere and transmit messages to smartphones or tablets on Bluetooth connection. 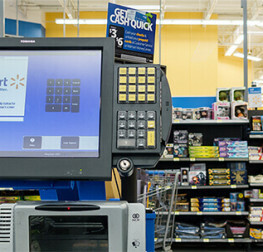 It is proximity based, so when user enters the zone of particular beacon, the message of that context is pushed to them. Presently, iBeacon is in nearly 200 million devices around us. Shop owners, leveraging the potential of this technology, are able to deliver an incredible experience to their customers by means of proximity marketing, frictionless payment and personalized shopping. 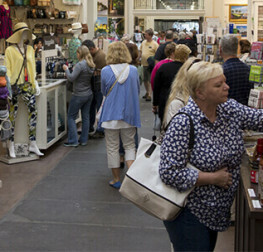 Remarkable technology, iBeacons is making things easier for customers. However, developing an iBeacon app is not simple and presents unexpected challenges before a developer. 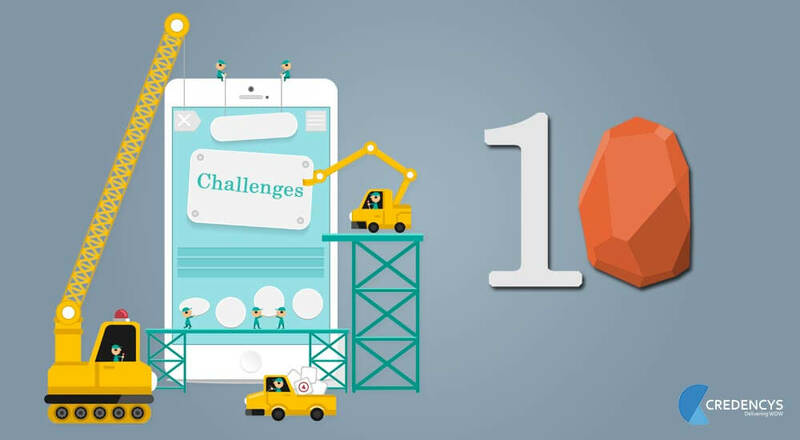 Here are the challenges that developers face for engineering an app that delivers a rewarding experience to your customers. All beacons do not have the same frequency and do not transmit signals of same power. It presents a challenge before the developers to make the beacon transmit messages to the users when they step in the proximity, even if the signals are weak. Beacon signal quality is affected by weather conditions, temperature, device power and polling intervals. All this makes signal accuracy highly variable and user will not get the information when it has to be delivered. For instance: users are getting the welcome message after completing their shopping in the shopping mall which has to be otherwise delivered when they are at the entrance. This problem arises when the three beacons are enough closer and the user comes in the vicinity of all the three. It creates difficulty for the app to find in which range user would fall and then messages are sent accordingly. For instance, Mr. A visiting the store comes under the vicinity of these three beacons- B1, B2, & B3. Now, it becomes tricky to track that user is near to which beacon. An iBeacon app transmits signals using external radios based on proximity of the beacon. Radio waves bounce by the physical location and thereby find difficulty in detecting user’s presence. It’s not possible that one could find only one type of signal circling around the place. The spectrum band of wi-fi and Bluetooth LE is same, which may interfere with the signal. Consequently, it obstructs the context information to be delivered appropriately. 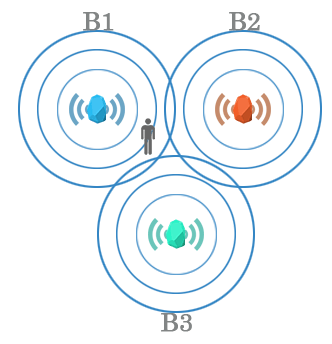 iBeacons are one-way radios, so no two-way communication is possible between an iBeacon and a user. It creates difficulty in knowing whether the user is getting the broadcasted message or not. It is tough to maintain security because it is both hardware and software dependent and involves both physical device and authentication keys to change the settings on Beacon. Developers need to carefully weigh which feature is to be kept in an app. As bombardment of so many messages will ruin the great experience, thus it’s good to push the message according to user preference and current conditions. Also, when the user is notified about the list of all the users at the same beacon of matching interest, then keeping the identity of all the users confidential is essential. The major challenge is to provide the list of users with filtered data keeping the privacy of user intact. 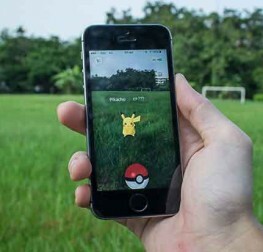 Make it on the app store, especially iTunes, it’s difficult for the developers to create a demo video of an iBeacon app of maximum time limit 30 seconds and of 500 MB memory. Building an iBeacon app is not a run-of-the-mill job for developers as it requires them to do coding against unpredictable hardware conditions while maintaining users’ expectation and experience. With the right pre-built tools, library extensions, SDKs, and APIs, developers can build an iBeacon app impeccably. How do you deal with any such problems? And, what did you do to sort these out? If yes, then please share with us in the comments below.